Deputy FM says no intention in political establishment to relinquish relations with Turkey despite events of recent days. 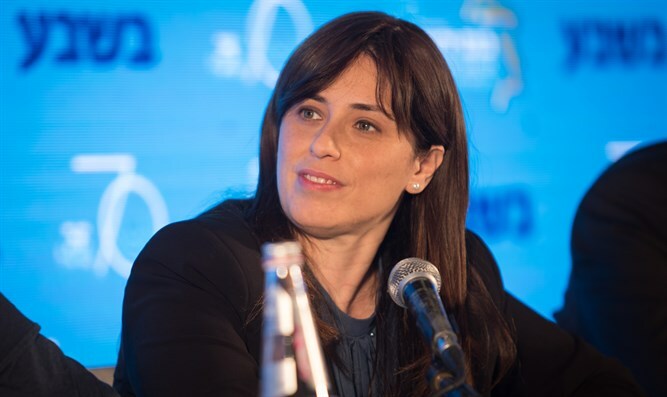 Deputy Foreign Minister Tzipi Hotovely said today that Israel does not intend to sever relations with Turkey. "After many consultations, including with the Prime Minister, it was decided we aren't going to cut ties with Turkey. It's a huge and important country in the region, all our flight routes are through Turkey, there's massive trade with them, and there's a large Jewish community there that needs Israeli support. We need to protect all this," Hotovely said in an interview on Reshet Bet. She said the last steps taken, including summoning the Turkish embassy official to the Foreign Ministry, were required. "Erdoğan is a dictator with blood on his hands, and it was impossible to ignore what happened. We chose to take an intermediate stage, not an extreme one. We paid him back what he dealt us." She also referred to initiatives to recognize the Armenian holocaust. "Our goal isn't a jab in the eye; there's a moral interest regarding the Armenian Holocaust and the Jewish people must be sensitive to it, and this issue needs to be examined carefully." The Deputy Foreign Minister also spoke about the problems of Israeli public relations vis-à-vis tension on the Gaza border. "In the last month we've done a lot of intensive briefing, and we've conveyed a message that Israel is defending itself against terrorists, and in some countries the message has definitely gotten through."